Yesterday PLUS University wrapped up Chicago. 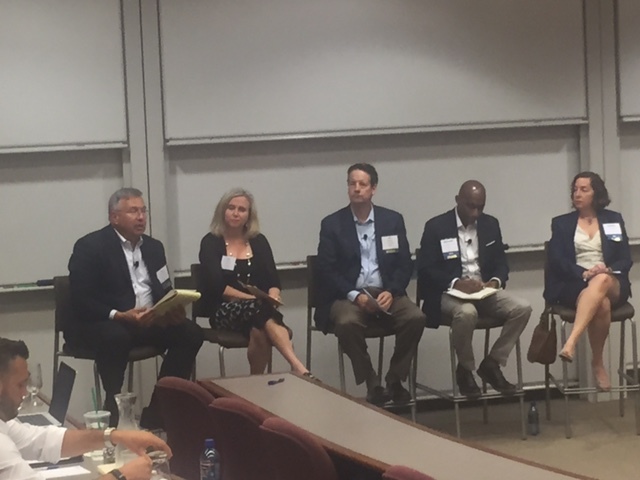 Over the last two days attendees heard from various leaders and experts in the professional liability industry. One of the most well received session focused on leadership and career development in the industry. In this session a panel of veterans from various disciplines within professional liability provided advice and responded to questions about how they were able to navigate their careers and become successful in the industry. Not hiring people smarter than you are. Great advice I thought. I would love for you to hear your comments on mistakes great leaders make (or great traits you have seen in leaders). Industry Leaders Roundtable Facilitated by PLUS President, Jim Skarzynski, Esq. Panelist – Kim Noble, RPLU; Phil Norton, Ph.D., Kenneth Stephens, RPLU, & Debbie Schaffel, RPLU.